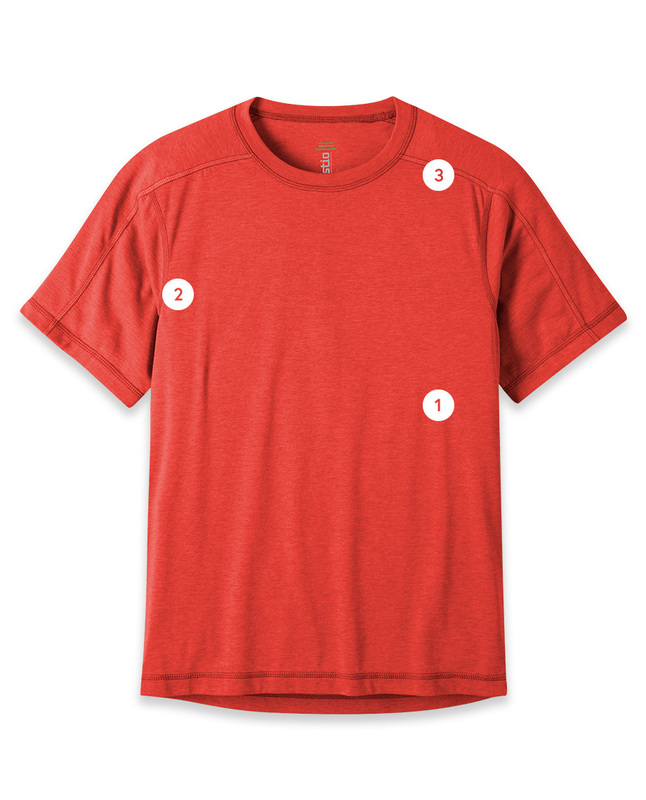 An essential, short sleeved tech tee that wicks moisture, dries quickly and protects against the sun. FreshGuard® technology keeps odors at bay while drirelease® poly/cotton blend feels soft against the skin. Flat lock stitching minimizes friction and keeps you on pace with the day's adventures. Our signature short sleeved tech tee offers quick drying, wicking performance for warm summer days on the trail. UPF 15+ rating protects against the sun while flat lock stitching minimizes friction. FreshGuard® technology keeps odors at bay and drirelease® poly/cotton blend feels soft against the skin and dries 4x faster than cotton. Drirelease® cotton is a polyester/cotton blend (85% poly, 15% cotton) that wicks moisture, won't lose shape, and neutralizes odor with proprietary FRESHGUARD® technology. Its soft feel offers tremendous comfort in a performance fabric that dries 4x faster than cotton. Our essential, short-sleeved tech tee that wicks moisture, dries quickly and protects against the sun.